Laminate flooring is not what it used to be. Next to luxury vinyl, laminate flooring is the most durable type of flooring and outperforms with a rigid structure and quality finish. Making the sale isn’t our end-game. We’re here to provide you not only with laminate that’s high in quality but suitable for you and your budget. We combine our extensive knowledge with real-life experience and work directly with you to find the right product for your flooring budget, timeline, and taste. Laminate is making a comeback! With advances in flooring technology, today’s laminate options include moisture-resistance, a variety of wood and tile look finishes offering exceptional durability. We get that home-building and improvement projects can be costly. But you don’t have to settle for less! We’re here to enlighten you to the options you can choose without breaking the bank. If you have older generations in your home who rely on wheelchairs to move around the house, laminate flooring is rated to have the best surface for wheelchair access and use. Laminate flooring is much cheaper than solid or engineered hardwood. Not necessarily. 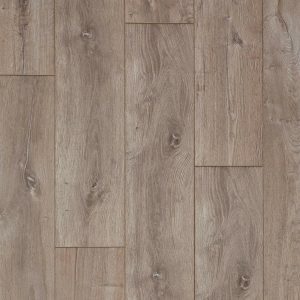 While laminate flooring does generally run a little less expensive than solid or engineered wood, newer laminate flooring features related to durability and appearance can bring the cost up a bit. Laminate flooring warps when it gets wet. The older laminate flooring does this, yes. Today’s brands and styles come with moisture-resistant finishes to keep warping at bay. If you’d like to know how much your dream floor will cost, you can come in, with or without exact measurements, and we’ll get you a close estimate within minutes based on your tile selections. Different laminate flooring manufacturers offer different warranties. One of our experts can provide you with additional information as we guide you through your options. Our installers are the absolute best at what they do and respectfully maintain cleanliness and efficiency throughout the installation process while in your home or office building.